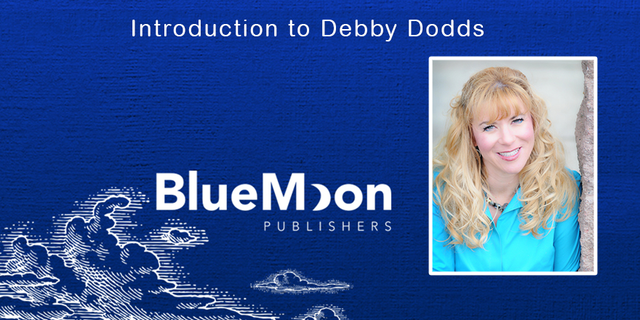 Join us as we chat with YA author Debby Dodds, the newest member of the Blue Moon Publishers family, about her writing and debut novel, Amish Guys Don’t Call! Different ideas for novels and short stories pop into my head all the time. I have so many narrative concepts and characters fluttering around in my brain, it’s like I’m a sunflower to all these insistent butterflies. I don’t mean to sound ungrateful, but sometimes it’s hard to pick which pretty one to follow. Do you have any quirky writing habits, such as a favourite snack or music playlist? I don’t like to listen to music when I write. I’m confused when I hear other people do that. I’d find it too distracting. I wish I had a “quirky” writing habit like, “There’s this old red Esprit sweatshirt that I had as a teen that I need to wear when I’m writing.” Alas, in this one area of my life, I have no eccentricities. Yet. Have you had anything published in the past? I’ve had quite a few short pieces published in a variety of genres from humorous Creative Nonfiction to Horror in anthologies, on websites, and in magazines. I’m always working on multiple projects. As the daughter of a librarian, I’ve always loved to research things. Even before the wonderful world of the internet, as a kid I’d spend hours in my basement just poring over my Encyclopedia Britannica’s, reading random entries. I’m a learning addict. For this book, Amish Guys Don’t Call, I researched quite a bit, including looking up some details about the Amish I didn’t know (and double-checking some things I’d observed), googling new slang to add to the words I already heard being used, and reading blogs of shoplifters and former Amish people—among other things! What inspired you to begin writing Amish Guys Don’t Call? I moved to Lancaster County at the end of elementary school, after moving around quite a bit on the east coast. To get me excited about moving to Lancaster, my mom, a librarian, took me to research the area and I became obsessed with the Amish who lived there. One of the key events that inspired the book occurred when I was a 15 year-old. I used to go dancing at an under-21 club that attracted teens from about 12 different high schools, and even some HS grads. One guy who asked me to dance a lot was mysterious, and never tried to call me for a date even though I’d given him my phone number at his request. It was weird and drove me nuts. Finally someone introduced me to his cousin, a nice guy a few years older. When I got him to spill the beans, he admitted that Sam’s family had an Old-Order Mennonite faith. “They don’t even have a phone in their house!” the cousin told me. I was floored. That event stuck with me, and the idea of two teens from different religions that still had a taboo in place as far as dating went was a bee that continued to pester me. Congrats, Debbie! So excited for you! Thanks so much! I’m pretty excited, myself! My mom is trying to get published for YA… any advice? Having a writing group and giving each other critiques is great. Writing Conferences are ways to meet agents and publishers. Social media connections are important. Twitter features lots of “pitch ” contests. Friend me on my Facebook author page and keep in contact! I wish her well. Debby Dodds sounds like a fascinating and creative writer! I can’t wait to read her work!